An organisation dedicated to bring rare books on CD at an affordable price, to the local history researcher and to the family history researcher. Anguline Research Archives was founded in 2005 by Guy Etchells and Angela Petyt B.A.(hons.). 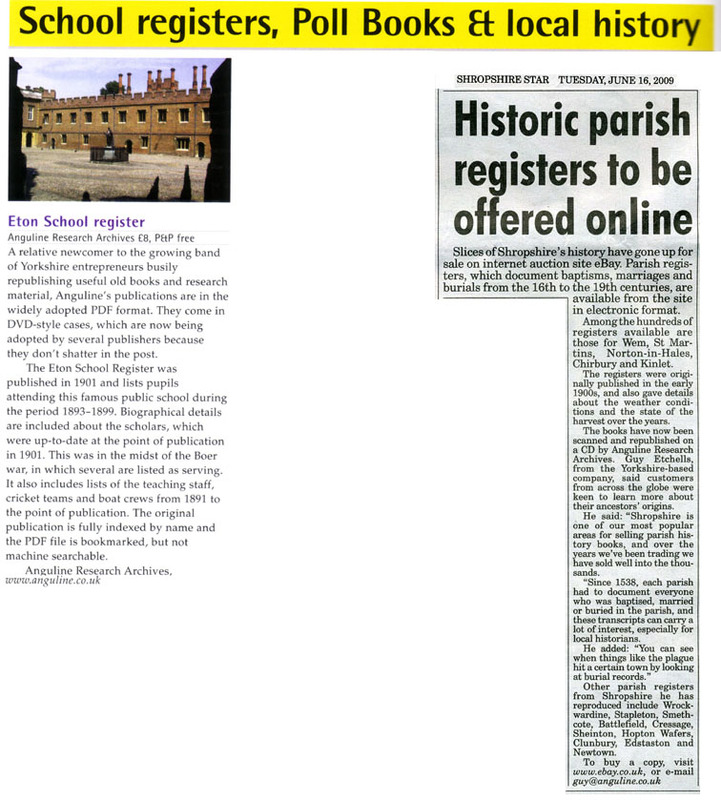 It is an organisation dedicated to providing digital resources for family historians, local historians and social historians. Produced from a wide variety of printed sources containing records from the medieval period to the twentieth century - parish registers, school and college registers, wills, court rolls, directories, maps, topography, etc. 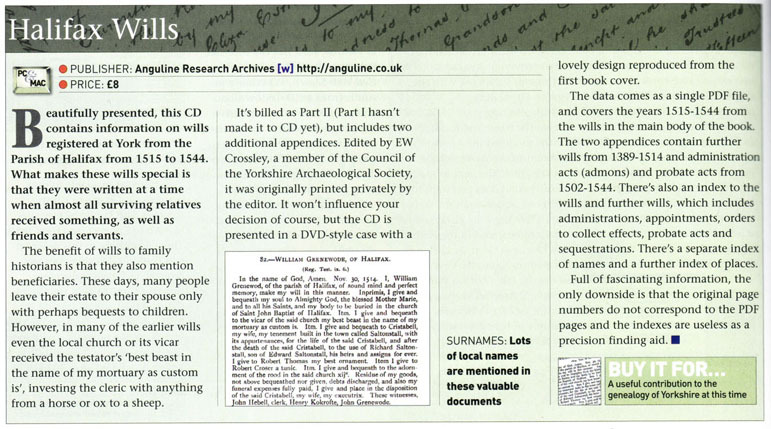 – Anguline Research Archives’ CDs both assist and inform the researcher. 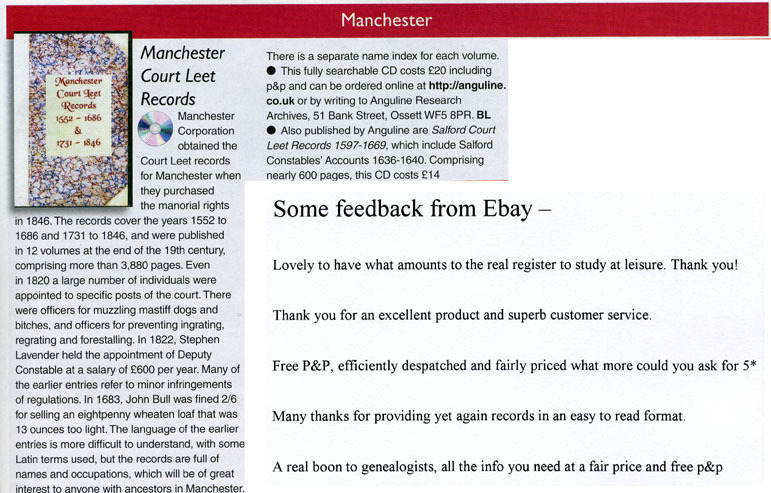 With affordable prices and free delivery worldwide, Anguline Research Archives catalogue now contains over 500 CDs. Using state of the art technology – our reproduction facilities include Bookeye Scanner and Epson Discproducer - the CDs are produced on demand in-house to high quality standards. Here is a small selection of reviews, articles and feedback about our products that have appeared in newspapers, magazines etc. over the years. Please note most of our CDs are now machine searchable (even if they were not at the date of the review) and are compatible with Text to Speech software such as Adobe Acrobat's "speech out loud" and AT&T's "Natural Reader". Most may also be accessed via E-book readers. Prices may have changed due to increased costs between the review date and the present time. 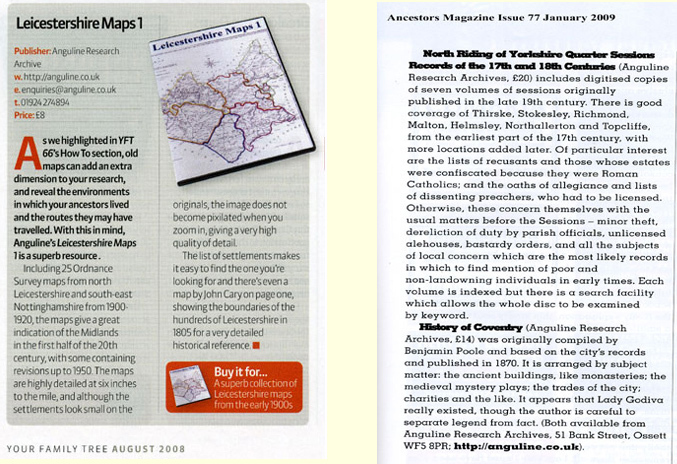 All reviews reproduced courtesy of the magazine or newspaper mentioned. © 2011 Anguline Research Archives: Providers of old and rare books on CD.